Աշխարհի արդարակյացներ Զիգմունդ Ֆրոյդ մրցանակ Sonning Prize honorary doctorate of the University of Glasgow Doctor honoris causa of the University of Strasbourg honorary doctor of the University of St Andrews Honorary doctor of the University of Geneva Honorary doctor of the University of Oxford honorary doctor of the University of Edinburgh Fellow of the American Academy of Arts and Sciences և Q61775211? ↑ 1,0 1,1 1,2 1,3 1,4 1,5 1,6 1,7 German National Library, Berlin State Library, Bavarian State Library et al. Record #118506803 // Gemeinsame Normdatei — 2012—2016. 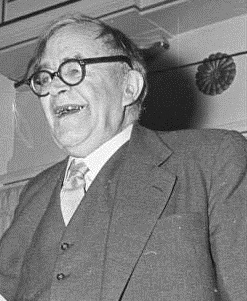 ↑ 3,0 3,1 3,2 3,3 3,4 Karl Barth — 1834. ↑ 7,0 7,1 7,2 Барт Карл // Большая советская энциклопедия: [в 30 т.] / под ред. А. М. Прохоров — 3-е изд. — М.: Советская энциклопедия, 1969.